I reduced my reading expectations this year knowing that life would be busy once our grandson came along. And it has been – beautifully, spectacularly and gorgeously busy. Being a grandparent is the best experience – so much love! Since I decided to blog my book reviews my ideas, ambitions and reviewing skills have changed as my experience has grown. This year, as I mentioned life has been busy and so I am considering adding the occasional guest reviewer to keep the blog fresh and to provide me with some breathing space to catch up on some of my reviews. What do you think to that idea? Finally I share my dream for the future – to be paid to read and review… if you know how I can make this happen, let me know:) This would be the most perfect job! Dreaming…yes I know. A meth-addicted biker shoots a woman during a police siege. An elderly couple commit suicide on the terrace of their favorite café. An unidentified white male is stabbed to death in the street. For Sydney homicide detective Harry Belltree, not long out of the military and a grueling tour of Afghanistan, these three deaths appear to be just another day at the office. Until, that is, he identifies the stabbing victim as his own brother-in-law Greg, and journalist Kelly Pool suggests there’s a link between the three incidents. It seems Greg and the old couple had ties to the same man, a corrupt money man with a murky past and friends in both high places and low. Harry Belltree can’t get officially involved in Greg’s murder, but he’s not going to leave it in the hands of others. That’s when he goes off-grid to investigate the links between these deaths. That’s when things start to get dangerous. I am very pleased to make the acquaintance of Barry Maitland. I want to read all of your books! This is the first book written by Barry Maitland that I have read – and again I ask – why haven’t I come across your writing before Barry? And when is the TV series/big screen movie being released? 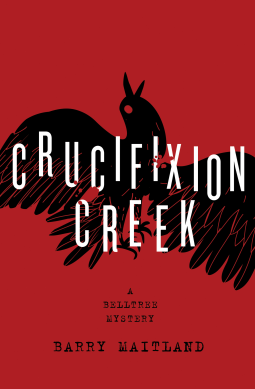 This book – the first is the Harry Belltree series is written in contemporary Australia but could probably be sited almost anywhere in the modern world – issues relating to war/returned soldiers, human trafficking, drugs, gangs, bikies, methamphetamines, grief, love…crime, so much is encompassed in this read. What I loved – a very fast-moving, well written and engaging character based narrative. I loved the images of Harry dancing in the dark with his blind wife; so personal, humanity exposed. I loved that the protagonist is written is all shades – grey, black, white and mixtures thereof. Harry’s day job involves working on one side of the law – however Harry is complicated; he works both sides…A great character, a relatable character. A great read! Freelancer Kendall Jennings writes fluff pieces for women’s magazines. When a horrific massacre occurs at Café Amaretto, she scores an exclusive interview with a survivor. Suddenly, she’s the go-to reporter for the crime. Investigating veteran detective Lance O’Grady and his partner Trip are tasked with finalizing the open and shut case. Seven people are dead at the hands of an unprovoked killer wielding an axe. It seems simple. Then another mass killing occurs. This time, arson, and ten eldercare facility residents die in the blaze. Both killers die at the scene. The crimes have no motive, and Lance O’Grady is left wondering how evil can strike twice. Then it happens again. Even more shocking: a mother with a gun goes on a rampage at a family birthday party. The killers share one odd detail: none have a murderer’s profile. No history of violence, no connection to terrorists, no vendettas. Ordinary citizens suddenly became killers. Drawn deeper inside the crime investigation, Kendall finds herself not only clashing with O’Grady but also struggling with old demons. 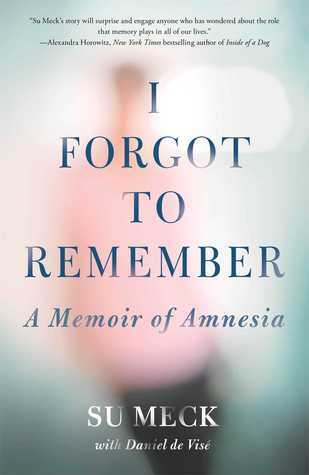 O’Grady resents Kendall’s involvement as her presence provokes memories of a personal tragedy. O’Grady and Kendall are caught up in a plan greater reaching than the crimes. They just don’t know it. Someone is sending a message. And unless they can decipher the meaning, very soon, many more will die. Deadly Messengers is a page-turning thriller taking readers into the minds of mass killers in all their disconcerting madness. It poses the question: Is there a killer lurking inside everyone? The answer could prove more frightening than the crimes. One cup horror (those opening scenes are pretty horrific). One cup science fiction/science fact. Add a dollop of incredibly well written, fast paced, action packed narrative. Guaranteed to produce a satisfying outcome! Are you looking for a page turning thriller read? I’m looking for early readers/reviewers! 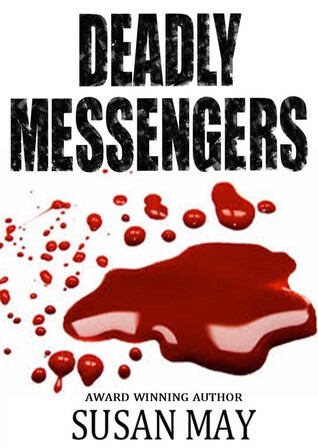 If you would like a FREE copy of DEADLY MESSENGERS, email me at susanmay21@iinet.net.au and I will be happy to send an e-copy in any format to suit your reader or app. This offer is open until the 30th September. But as the bereaved parents gather to offer support in the wake of another killing, a crack appears in the group that threatens to rock their lives all over again. Tammy Cohen writes crisp and pure psychological thrillers –the emphasis is on the story and the lives affected by a shocking event. Ms Cohen is a skilled writer; she writes a great narrative that engages and keeps the pages turning. Ms Cohen shows a great understanding of characterisations – her characters have a depth that makes them credible and allows the reader to empathise with or understand the motives of. Further the twist in plot that is revealed toward the end is a total surprise – you will not see this one coming, you will never guess this one at all – there are no breadcrumbs scattered along the way that lead you to this conclusion – there is just surprise, and sadness and understanding. A great read! I will definitely be adding Ms Cohen to my list of must read authors. Psychological profiler Tony Hill is trained to see patterns, to decode the mysteries of human behaviour, and when he comes across a series of suicides among women tormented by vicious online predators, he begins to wonder if there is more to these tragedies than meets the eye. Similar circumstances, different deaths. Could it be murder? But what kind of serial killer wants his crimes to stay hidden? Former DCI Carol Jordan has her own demons to confront, but with lives at stake, Tony and Carol begin the hunt for the most dangerous and terrifying kind of killer – someone who has nothing to fear and nothing to lose . 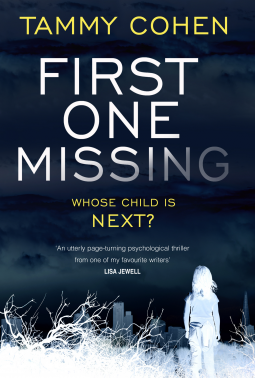 . .
After reading the book (the 9th in the Carol Jordon & Tony Hill series) and then reading the Val McDermid’s bio – what is there left to say that hasn’t already been said? This award winning author writes her characters with ease and realism, the plot is complex yet not complicated, the pages turn over almost of their own volition, so keen are they to share their secrets with you. Brilliant. And did I mention the intro? What a great hook – being privy to the murderous thoughts and plans of the villain of the piece – of course you want to read more, know more! Go ahead- but plan nothing else for the rest of the day – this book will demand your earnest attention. Fan? Me? YEP! The perfect book club read. In 1988 Su Meck was twenty-two and married with two children when a ceiling fan in her kitchen fell and struck her on the head, leaving her with a traumatic brain injury that erased all her memories of her life up to that point. Although her body healed rapidly, her memories never returned. Yet after just three weeks in the hospital, Su was released and once again charged with the care of two toddlers and a busy household. Adrift in a world about which she understood almost nothing, Su became an adept mimic, gradually creating routines and rituals that sheltered her and her family, however narrowly, from the near-daily threat of disaster, or so she thought. Though Su would eventually relearn to tie her shoes, cook a meal, and read and write, nearly twenty years would pass before a series of personally devastating events shattered the normal life she had worked so hard to build, and she realized that she would have to grow up all over again. In her own indelible voice, Su offers us a view from the inside of a terrible injury, with the hope that her story will help give other brain injury sufferers and their families the resolve and courage to build their lives anew. Piercing, heartbreaking, but finally uplifting, this book is the true story of a woman determined to live life on her own terms. Apparently Jim (the husband) agreed to have all these reflections of behaviour and attitudes “on record” (p.274), for me that does not excuse the behaviour. Su, you also reflect here on why you stay with Jim…I leave that you the reader to absorb and contemplate. My voice clearly echoes the feelings this book has stirred up. This is an extraordinary book. Su you are living an extraordinary life; good luck and I hope you do find love. This is the perfect book club read – I know it will educate and it will definitely create debate… and evoke many feelings. Just out of town, drought-stricken grazier Soretta Byrnes has been struggling to make ends meet and in desperation has opened her station house to boarders. Tempted by its faded splendour and beautiful outback setting, Billie, Mia and Daphne decide to move in and the four of them are soon joined by eccentric eighty-year-old Lorna Lamerton. But by then I had these false impressions of “life” stamped on my brain and real life caught up with me – I had my own “bookish romance experience” and to answer your question, no, passive/aggressive controlling, violent behaviour isn’t romantic… but it did take me a while to realise this and to escape the situation – what doesn’t kill you…..Anyway it did make me stronger and empathetic. Down the track, now older, wiser (mostly or at least I like to think I am) and better educated, a quiet feminist, happily married…I vowed never to set my eyes on those sort of formulaic “bodice rippers” ever again. I am sure many of you have heard me say that on my blog. And that fact remains true. Those style of books are not for me. But lately you may have noticed I have a read a few books which I think are loosely classified as Australian Rural Romance or maybe even Women’s Fiction. I have not been able to find a description of a genre that sits well with me that these books fit into – even Women’s’ Fiction comes with an implied second class reading (and writing ) status, a literary sexism; maybe we should just call these books Contemporary Fiction – for that is indeed what they are. Anyway – back to the point – these works of contemporary fiction, in particular Australian contemporary fiction (I can’t comment on other countries contemporary fiction as I have not read any that I can recall) are so vastly different to the romance books of my childhood. Romance rules of old have been turned on their head; the protagonists in these reads are women, strong women, they are generally well educated; doctors, teachers, nurses, pilots, cops, soldiers…they may be divorced, or raising a child by themselves. They are resourceful, they are strong, they may have a great support/community network of mostly women behind them, they don’t put up with violent or controlling behaviour, life has its challenges but these women prefer to write their own destinies; this doesn’t however make them unlovable. Often there are elements of humour, spotlights on contemporary social, health and environmental issues and no bodices are ripped! These are the types of books I enjoy reading. The other style is probably still around but I will continue to avoid it. Contemporary fiction has an important place is my reading life – it provides a change in pace and storyline to my first love in reading – crime fiction. Reading crime fiction, novel after crime fiction novel, can be wearing; often books of this genre are intense and can leave me emotionally drained (not much humour in crime fiction – unless it is black humour), a change of pace and style keeps my reading fresh and alive; revives me. Back to the review at hand. I really enjoyed this book – its outstanding quality – it made me smile. This is a great example of contemporary Australian fiction – wonderful rich warm characters, so many strong and feisty women, a great showcase for the service provided to the community by Royal Flying Doctor Service (RFDS), an opportunity to remind people of how the drought effects farmers, rural life in general and regional towns. 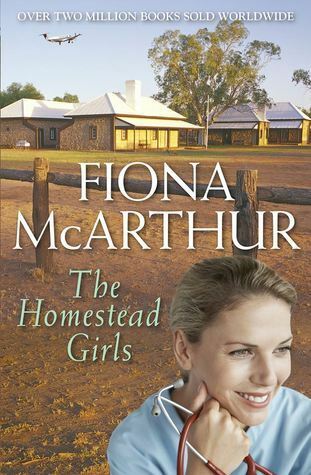 The protagonists work for the RFDS and as such a few health issues are exposed and explored and there is the most wonderfully satisfying relationship that develops between The Homestead Girls. What more can you ask for in a contemporary Australian rural setting? Nothing!